This chapter is dedicated to the Freenet distributed information storage system. Freenet was chosen to be included because it is an excellent example of how many of the techniques discussed so far in this book can be adapted and used in a practical and innovative system. For example, Freenet works within a P2P environment (Chapter 6) and addresses the inherently untrustworthy and unreliable participants within such a network. Freenet is self-organizing and incorporates a learning algorithm that allows the network to adapt its routing behaviour based on prior interactions. This algorithm is interestingly similar to social networking and achieves a power-law (centralized-decentralized) structure (discussed in Chapter 11) in a self-organizing manner. 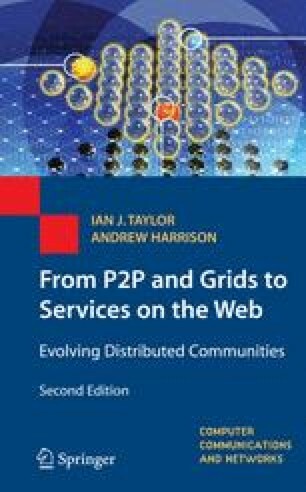 Such a technique offers a different perspective on how to efficiently scale P2P networks (e.g., Gnutella in Chapter 10) to hundred of thousands of nodes. Freenet was designed from the ground up to provide extensive protection from hostile attack, from both inside the network and out by addressing key information privacy issues. Freenet therefore implements various security strategies that maintain privacy for all participants, regardless of their particular role. The individual security techniques that are used collectively in Freenet were discussed in Chapter 4.